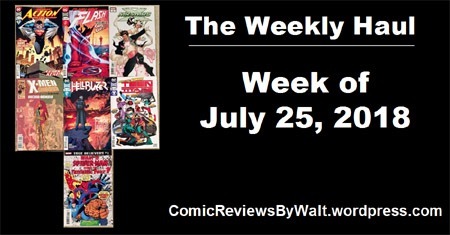 This week was a fairly small week of new release comics for me…small enough that I "padded it out" a bit. 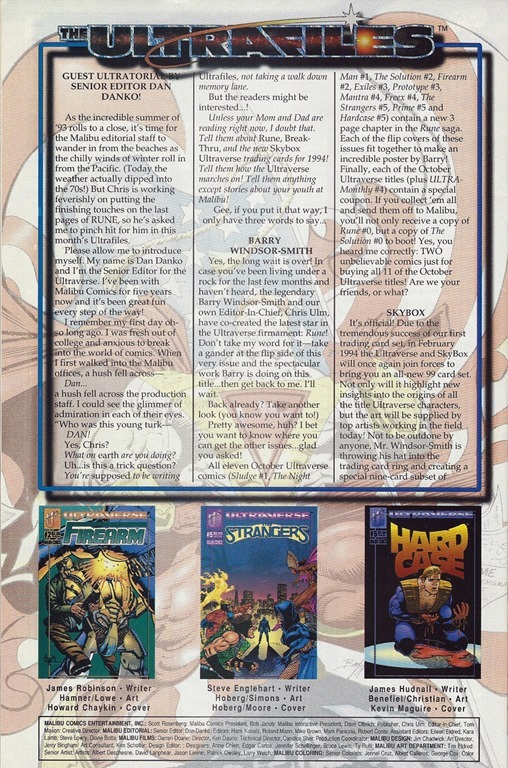 The new issue of Action Comics–#1001–was a given, for me. It’s been 3 months coming, since the huge #1000 issue. 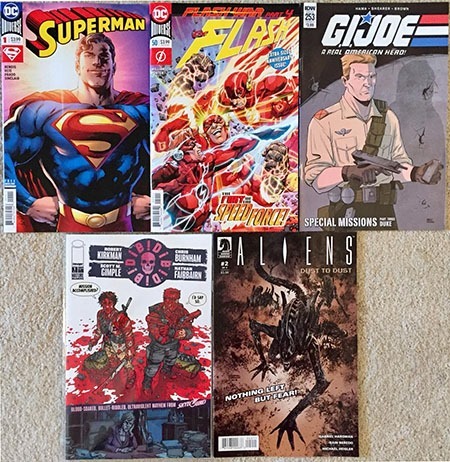 After looking forward to The Flash War for so long and even letting the title go for several months, I got back in for the (finally) actual story itself…which seemed too short. This #51 "epilogue" issue is a pleasant surprise-extension of the story. And Mr. and Mrs. X is Marvel actually getting me with a concept I’m interested in–fially having Rogue and Gambit get to this point (one of my earliest X-Men comics was #24–the "date" issue with the two. I quite enjoyed the X-Men: Grand Design issues from the turn of the year, and was rather disappointed at the long delay between those and the next ones. Time healed that particular "wound" and it was a pleasant surprise to find this one out this week. Unlike other $5.99 issues, these actually feel heavy and "special" and worth the price. I hadn’t realized The Hellblazer was ending…but as with the end of the 300+ issue Vertigo run, I opted to snag this final issue "immediately" with the intent to fill in the gaps I have in the story via collected volumes, eventually/someday. 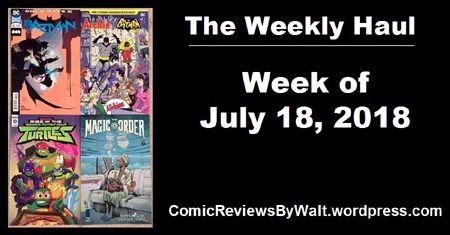 Because I was "curious" after stupidly "buying into" some hype over the Teen Titans Special several weeks ago, figured I might as well give this issue a shot and see if it actually goes anywhere interesting, or if IT is all-hype/etc. 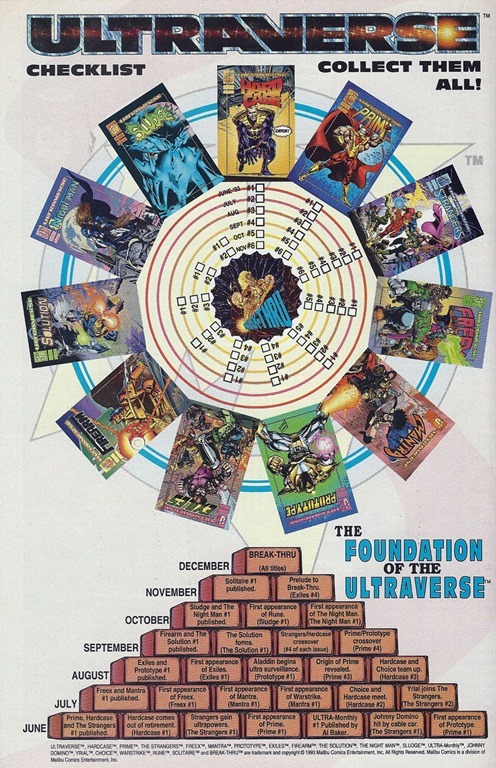 Here are the house ads that I came across throughout the October 1993 Ultraverse titles! 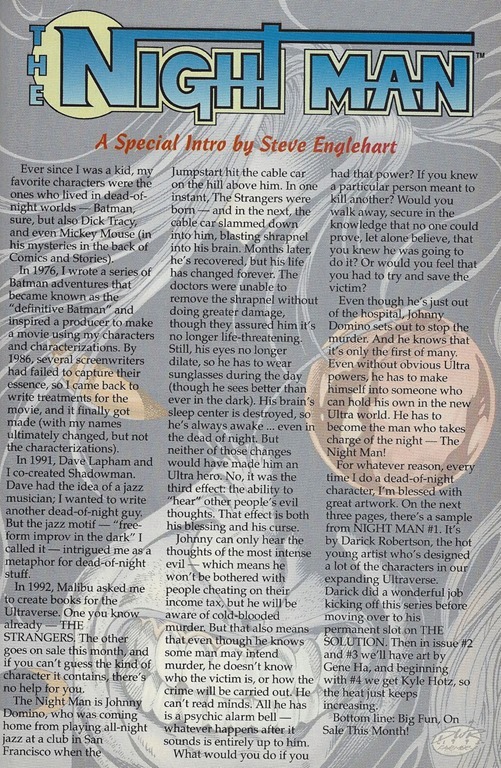 We had this introduction to The Night Man, by Steve Englehart; it also included several pages from The Night Man #1; but as they were simply pages from the issue and I already covered the issue itself, and I haven’t been putting story pages in these posts, I’ve opted to simply present the introduction as it’s the unique content. Here we have another “split-page” ad, with the two titles sharing the page, though as their own pieces on it. 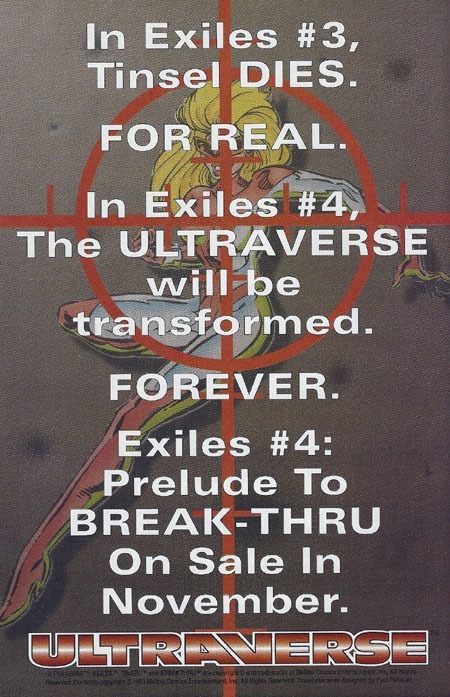 This ad was in several issues, and totally spoils Exiles #3. Of course, there’s other stuff that happens in the issue, and the issue itself sorta left room for hope, if one hadn’t seen this ad already. The ad basically smashes any hope one would have for Tinsel’s outcome. 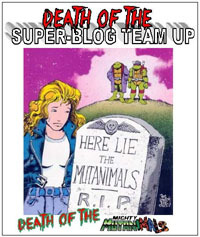 That said, the ad doesn’t tell us how she dies–so you still have to read the actual issue for that. 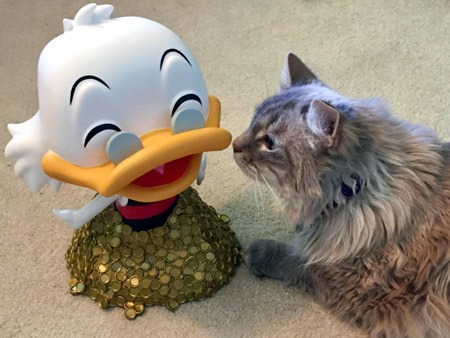 This could have been a bait and switch sort of thing…after all, if they have to SAY “for real,” does that mean that it isn’t actually for real or permanent? 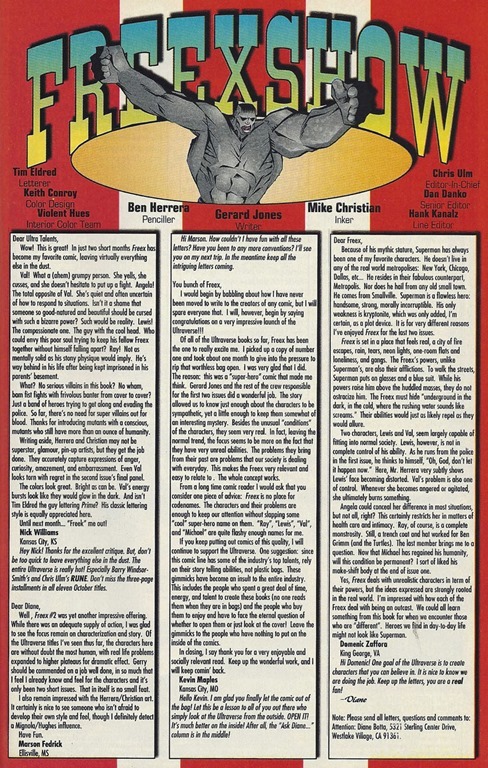 Well, this was 1993, not 2018 Marvel, so…a bit more weight goes to it! I did not remember this ad at all, but it’s one that I really like. 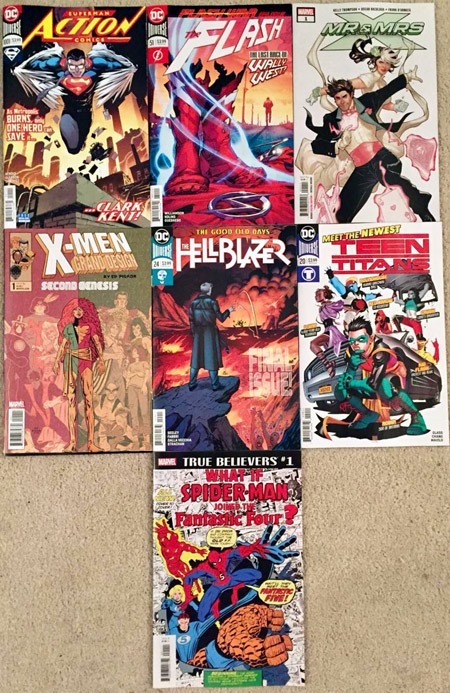 While on one hand you shouldn’t NEED to have something laid out for you like this as a reader…it’s cool to show both a checklist of issues-so-far for completists, as well as showing how stuff has, truly, actually been getting doled out all along without retcons or fudging to force something to fit. 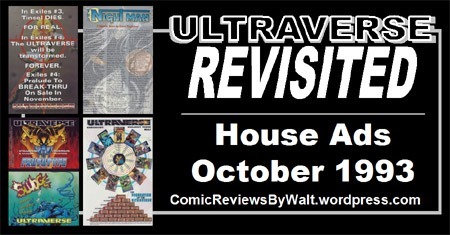 While not exactly house ads, across the titles (themselves across several weeks–the entire month of October 1993!) 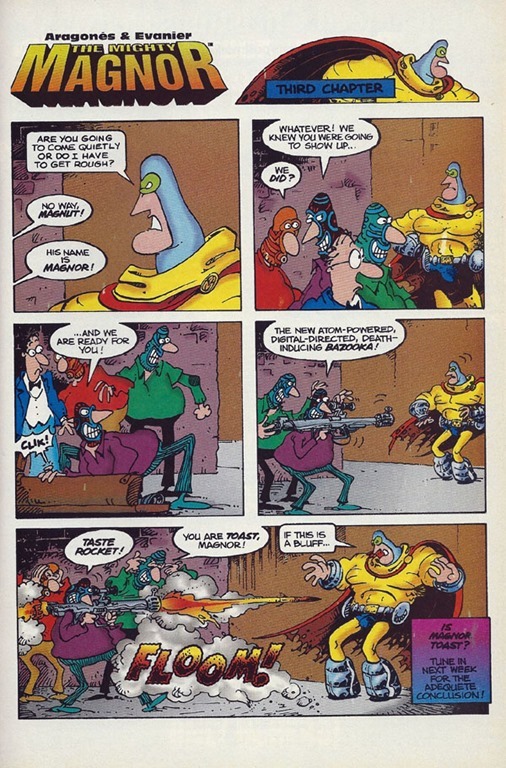 there was a 4-part “strip” of The Mighty Magnor. 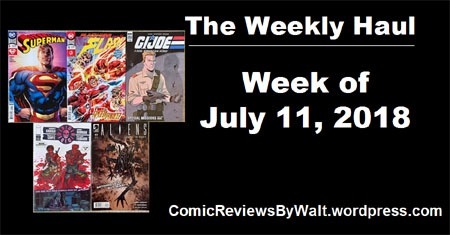 This was a small week comics-wise! 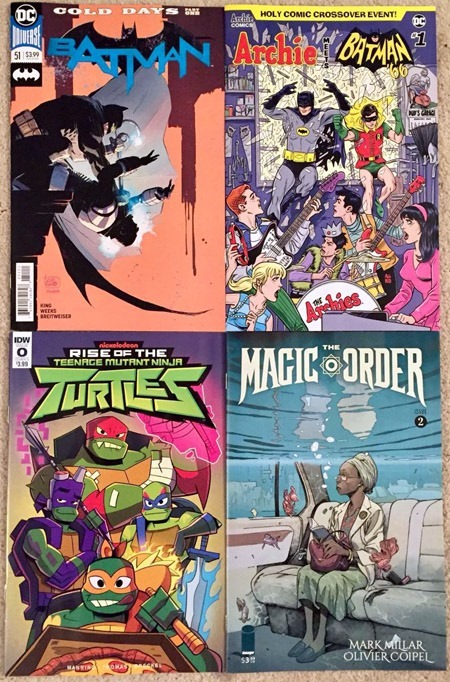 New Batman, first issue of Archie Meets Batman ’66, a #0-issue for Rise of the TMNT, and the second issue of The Magic Order. I either haven’t read #1 yet despite buying it, or have totally forgotten it already, but went ahead and picked up #2 to be sure to have it. Whether I’d go on to a 3rd issue remains to be seen! 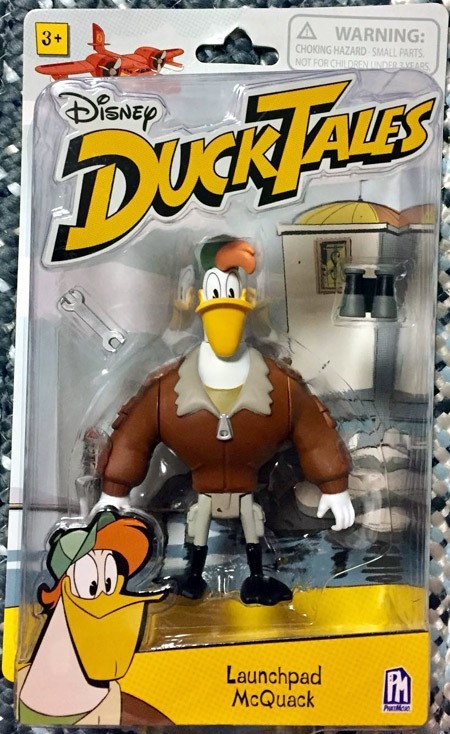 I was VERRRRRRRY glad to find that Launchpad is available as a single-figure card, and NOT exclusive to the Suncatcher (plane) playset, and got him, as well as Flintheart Glomgold. 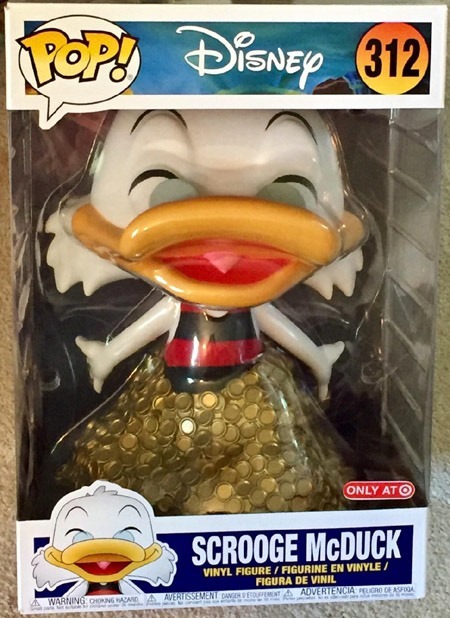 I also went ahead and bought the Target-exclusive 10-inch Scrooge McDuck Pop vinyl (From Funko. 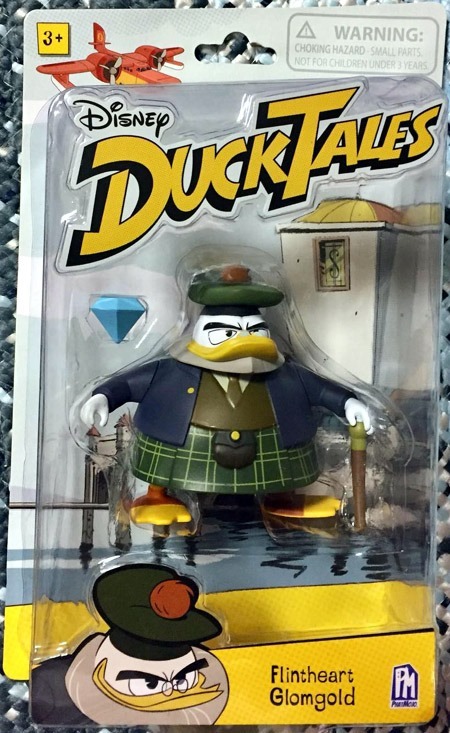 Not being much of a statues guy, this one struck me as "statuesque" and though it’s not my favorite interpretation of Scrooge, I like it for what it is. 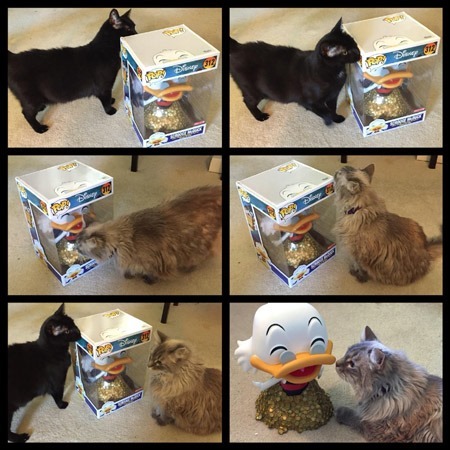 The cats didn’t know what to make of Scrooge, though, and both came over to check him out before I could even get him outta the box! 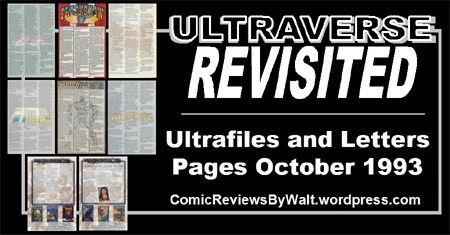 Now that we’re done with the actual issues/story contents for the October 1993 Ultraverse titles, on to the Ultrafiles and letters pages! All of these are at half-size to fit on the blog page…just click on the images to open a larger version! 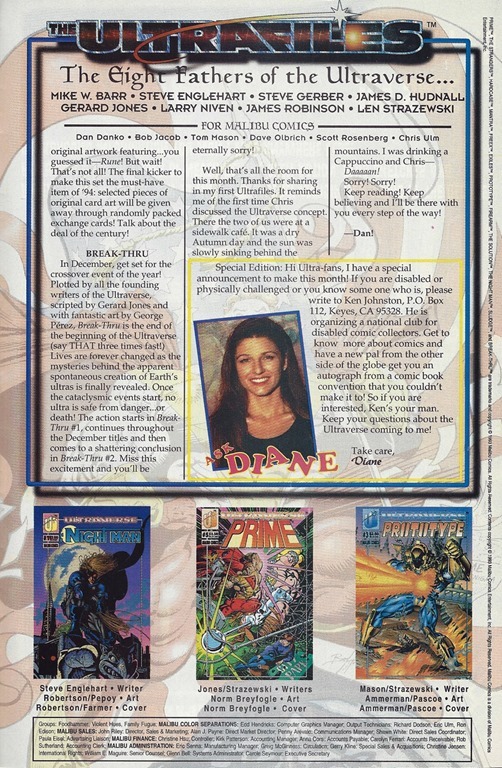 Ultrafiles page 2 with the Ask Diane section. 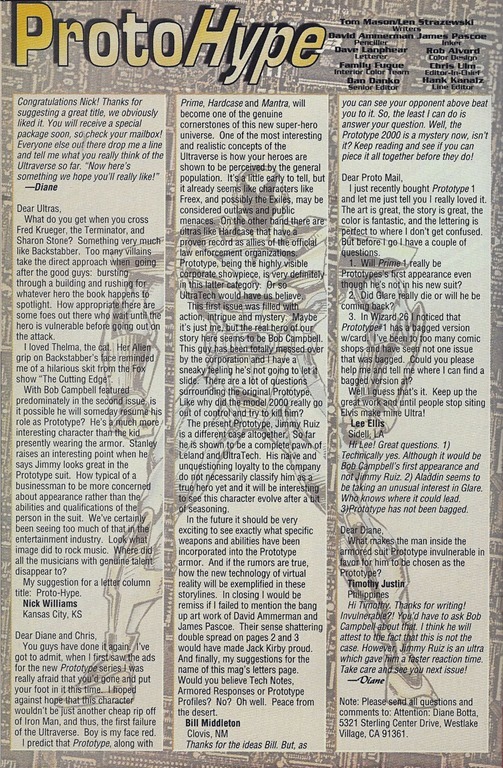 The Exiles letters page from Exiles #3. 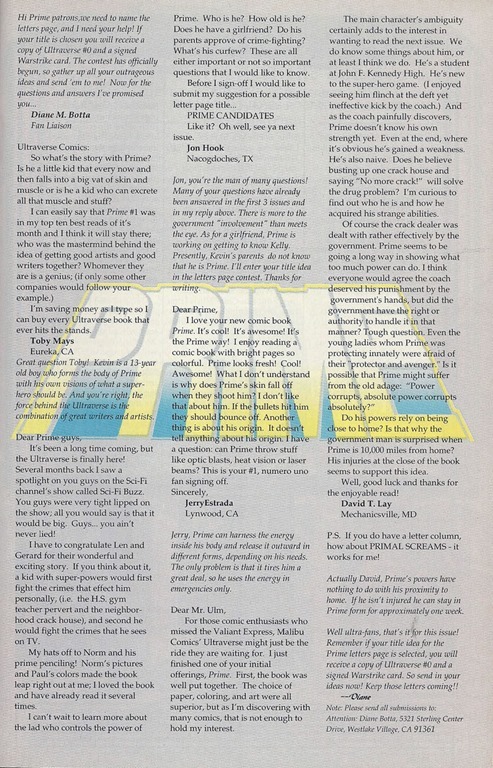 The Freex letters page from Freex #4. 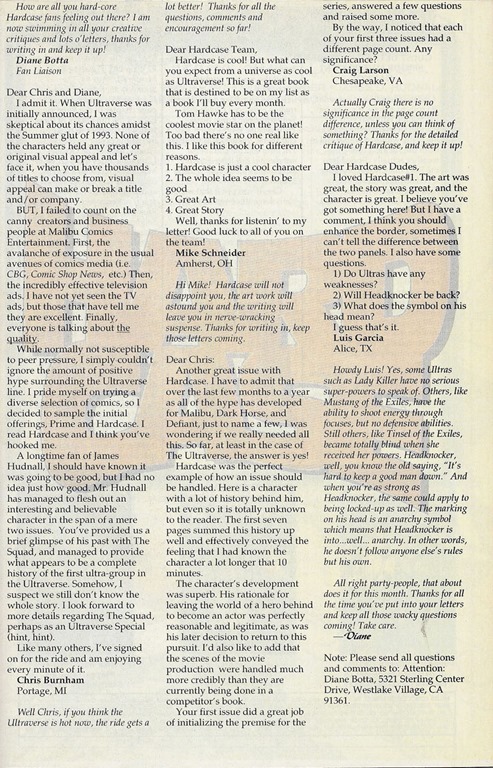 The Hardcase letters page from Hardcase #5. 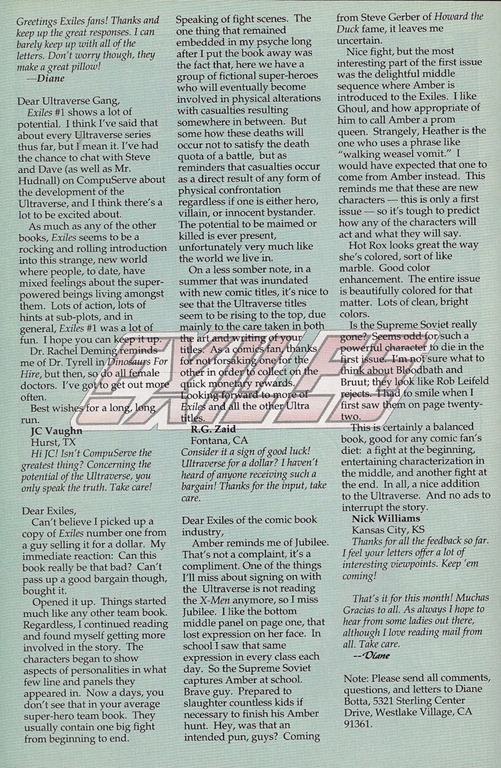 The Prime letters page from Prime #5. 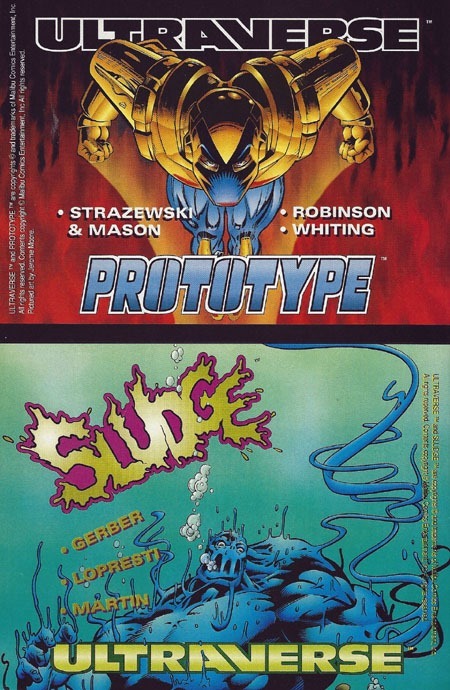 Prototype letters page from Prototype #3. 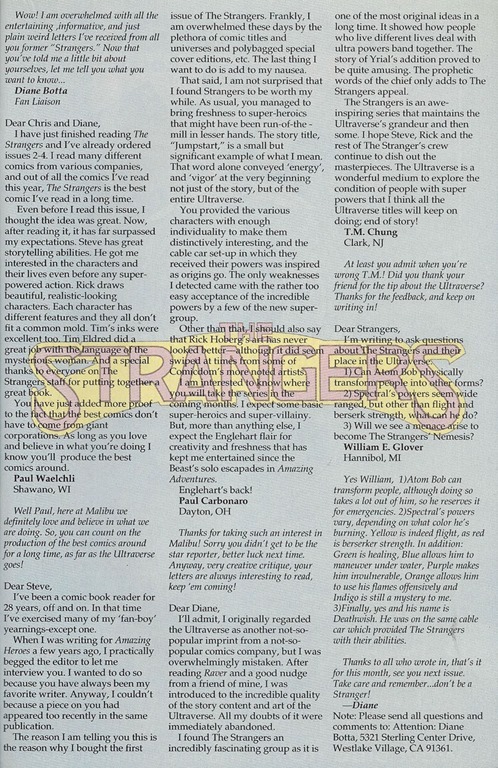 And finally, the Strangers letters page from The Strangers #5. It’s definitely cool to see letters pages–in 2018, they seem pretty much a relic of the past, so definitely a bit of nostalgia there. Several of these don’t even have a "name" yet, but letters were run anyway. 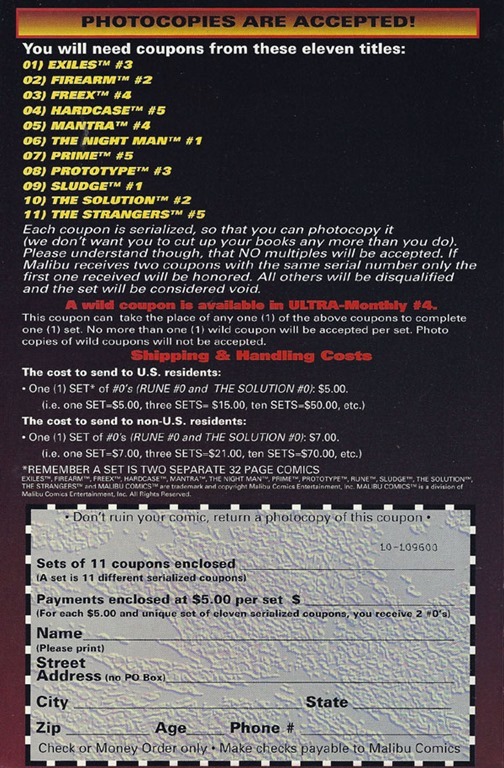 And of course, the Ultrafiles pages deal with the entire line, and include a bit of information about the upcoming Break-Thru, as well as the Ask Diane blurb. As said at the top of this post…click on any of the images to open them in a larger size, as they’ve been shrunk to fit this blog layout. 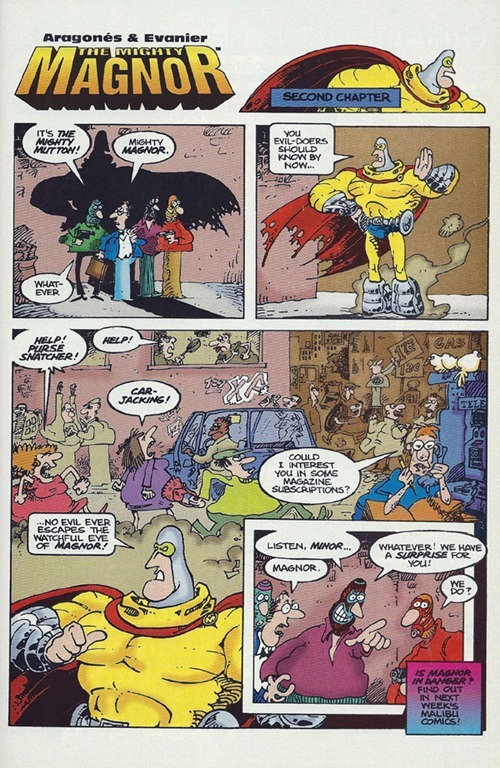 Rex Mundi realizes he and his people are being magically spied on…by The Solution! The scene then moves to the Shinjuku district in Tokyo…where we see The Solution in action! They’ve got a plan, and everyone seems to be in place as things unfold. 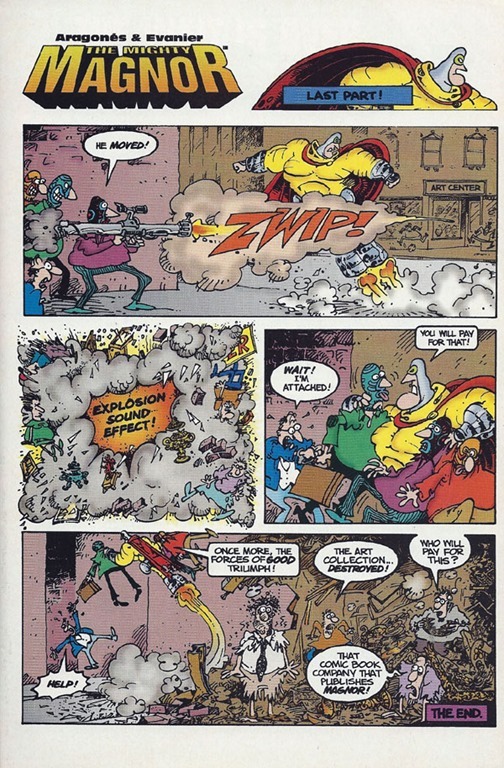 Dropkick and Tech communicate, while Shadowmage sits by to use her powers in a room next to the group’s target, who is dealt with by Lela Cho–Tech–herself. As Tech begins to realize something’s wrong, Shadowmage confirms that someone’s there, and both Outrage and Dropkick are forced into immediate action away from the building. Shadowmage fights an opponent named Book, while Dropkick deals with a red-clad woman with swords…who seems to recognize his fighting style. Outrage’s opponent seems to be of his own alien race (I guess Outrage is another alien…I did not remember that! ), and he’s got some sort of bounty on his head. While Tech gets her client out of the building and we see them trying to escape this ambush, the unfolding battles of the other three unfold as well. In the end, their client is killed, so while The Solution survives, their case is a bust. This issue is largely a huge fight scene. 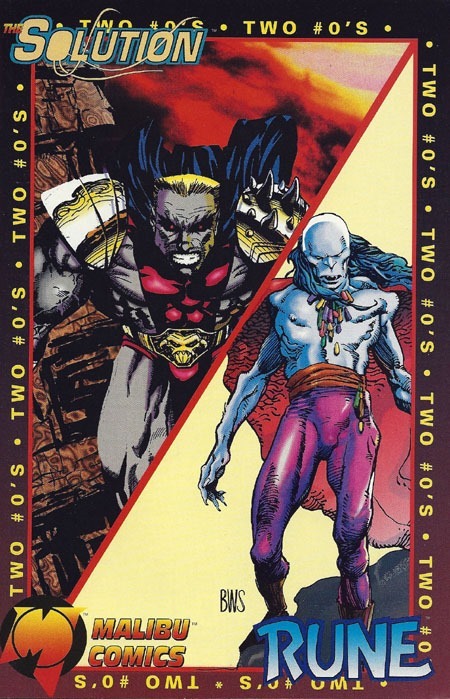 The previous issue really being the first time I’d ever read an issue of this series (despite owning issues and being aware of the team–mainly from getting Rune #0 and it coming with The Solution #0 as well) I’m still figuring out the characters. And of course, that’s not helped by the way I’m undertaking this reading project–trying to read ALL titles in release-month order, rather than zeroing in on just one series at a time. So this issue served to really “show off” a lot more with the team. We already know Shadowmage can use magic, but we see more of that here. Lela Cho has a certain skill set, which is also shown off. We see Dropkick in action, and some hints at him being more than he appears. And we see Outrage similarly, as he faces someone that knows more about him than we do, which leaves another question in the air, further details to be sussed out presumably in subsequent issues. Visually, I thoroughly enjoyed this issue. The detail’s great, the layouts are dynamic, the characters seem consistent and it’s easy enough to follow the general action of it all. Seeing that it’s Darick Robertson art, though, I suppose I should not be surprise, enjoying his work on the likes of Transmetropolitan. I can’t quite figure out a better phrasing, but I felt like the main characters especially were “full” while “sleek” in the way they’re depicted in this issue. Ultimately, the issue in general is nice to look at, as it also totally carries a ’90s vibe. Story-wise, there’s not a lot: the characters fight, their client is killed, everyone goes home. That’s the broad strokes view. 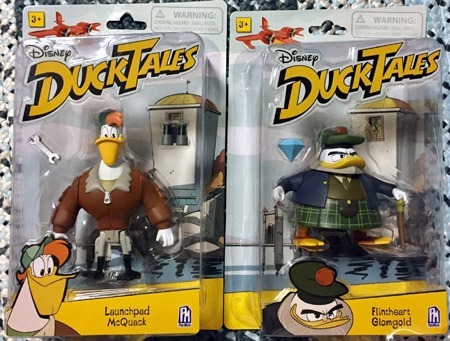 The details are where the depth is, and I’m definitely interested in learning more about these characters. Maybe I’m the odd guy out, but I’m pretty sure I’d totally enjoy several issues of the characters simply interacting with each other and learning of them that way, without even needing a lot of action. 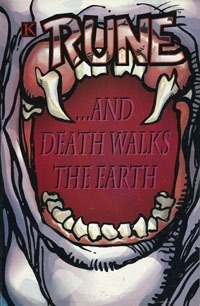 Wayyyy back (it seems) with the start of the Rune stuff (Sludge #1), the cover showed the open mouth with fangs, and the words “The Stones are Cast…” Here in the final issue, we again have that cover image (the 9 issues between being the “poster image” pieces) but with the text “…And Death Walks the Earth.” A fitting sort of symmetry. 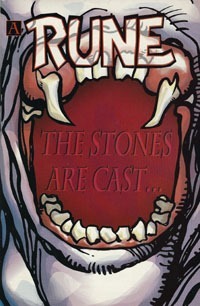 “The stones are cast and death walks the Earth.” That’s Rune. 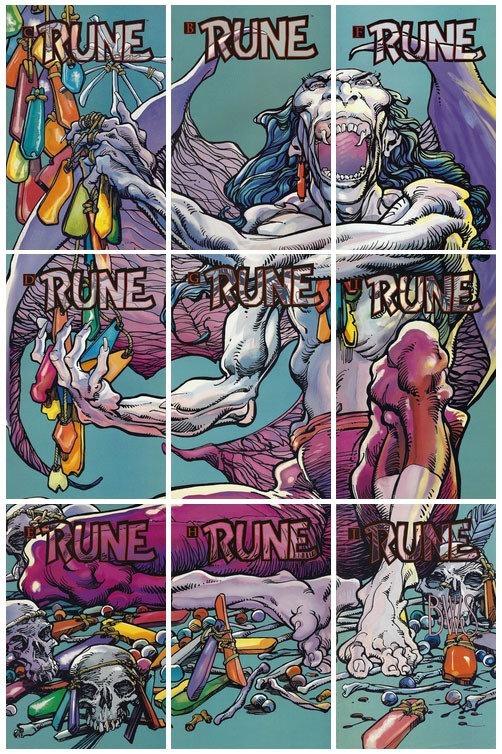 This final chapter of the Rune #0 issue, we see a kid named Erik talking with his Dad…as they discuss nightmares, monsters, and keeping things at bay; an incident with Erik forgetting to take his pills, and this hint at there being something more to the kid. Their conversation is largely narration boxes overlaid on scenes of destruction, as Rune gets through the last barriers between himself and Erik, leaving us with Rune perched in a tree outside Erik’s house, apparently preparing to attack. 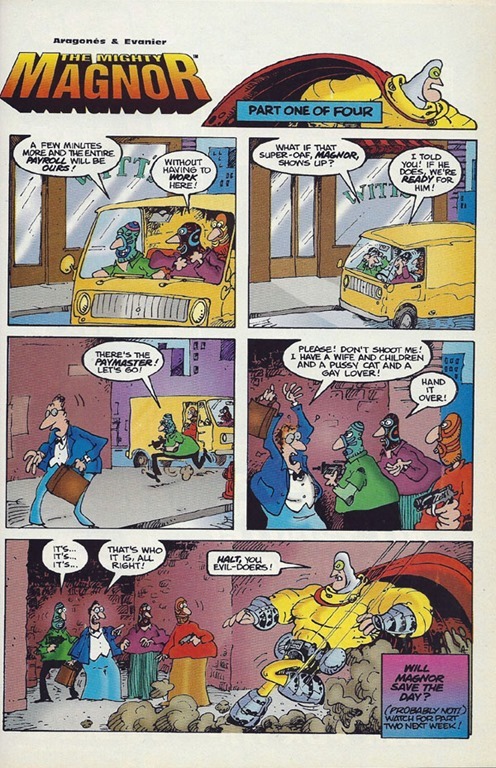 The art continues to be consistent with prior chapters, as the creative team did not change…this is “merely” three more pages of the same issue, so no surprise there. 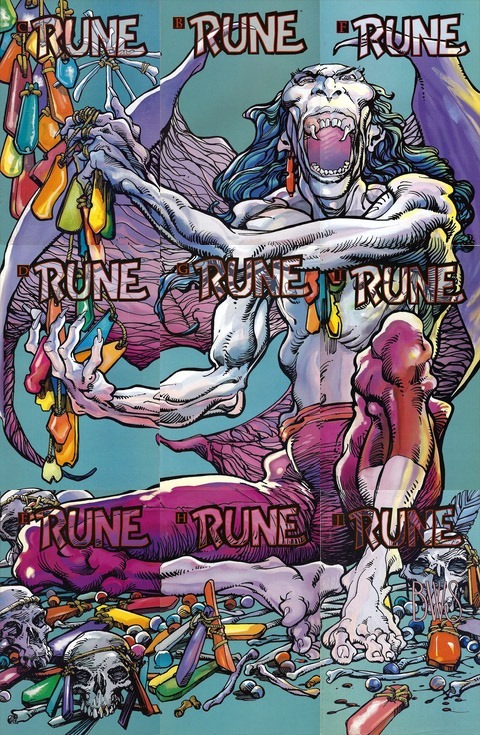 After all these previous “chapters,” we finally see Rune where he wants to be, after bitter disappointment and destructive confrontations…poised to take in some incredible power that might restore or maintain his wasting body. 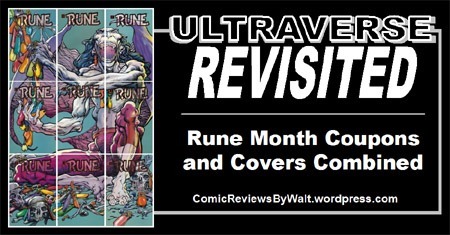 As prologue, as setup, as a #0 issue, it provides an introduction to the character, and leads into what I recall of the Rune #1 issue, such that one certainly can better appreciate things with the main series having read this first, and yet, this isn’t absolutely required reading for that. I enjoyed this issue. It’s been nearly 25 years since my initial $2.50 was spent on it (that’s less than one penny per month from then til now, I think!) so while I’d be less than thrilled with an issue that’s basically a massive fight scene for a full/premium price in 2018, I’m ok with this 1993 issue being this way…all the more for so enjoying the art. 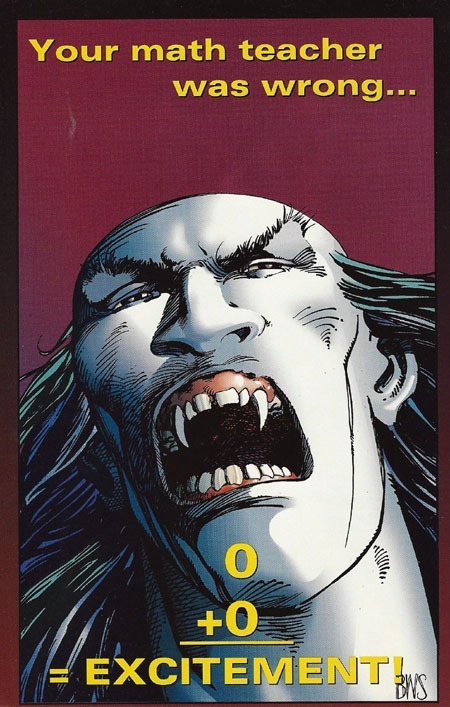 Yet again, the Rune chapter is an identifying mark on the issue, dating it at a glance to one of the October 1993 issues; and as with others, it is not singularly a selling point in my eyes, as far as this issue in isolation. 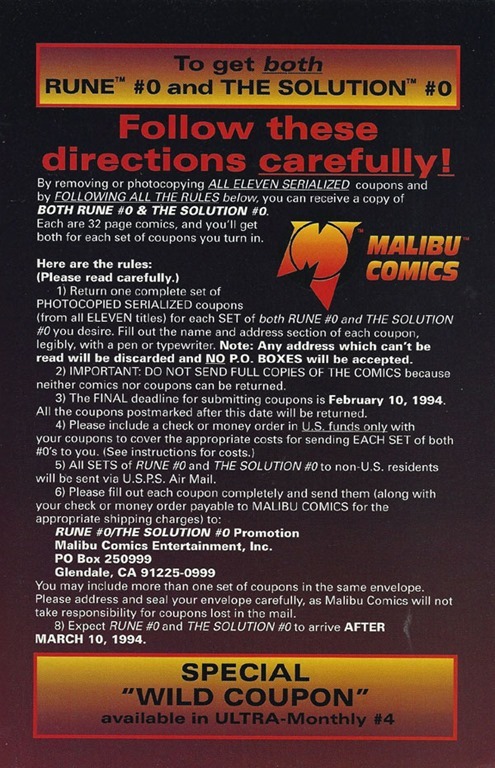 It’s certainly a selling point for getting all 11 serialized chapters of Rune #0, or the coupons for the mail-away, and such. 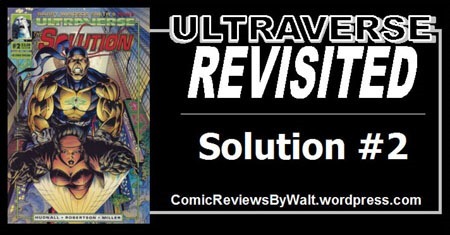 But along with most of the “early Ultraverse” issues, I routinely see the issues in bargain bins, so don’t consider them to be worth one paying more than $1 for as of 2018; but that’s also easy enough for me to say, owning all the single issues myself already, and not being on the hunt for them. I would definitely recommend pairing this issue with the first issue to have SOME context of stuff…and though I didn’t do it myself, I think this issue probably reads a lot better in context of being read immediately after the first issue, rather than with 17+ other issues read in-between.